That does not mean they can’t lose interest anytime soon. It only means that reaching their inbox is not enough. You need to make them want you to stay there. 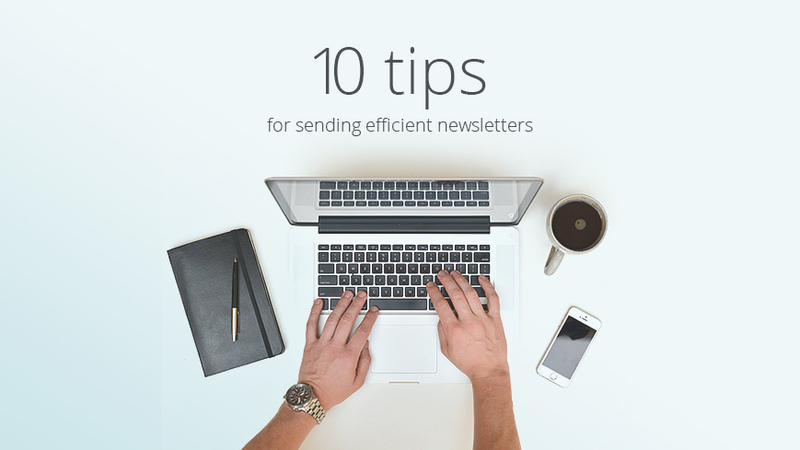 You need to make them anxiously wait for your newsletter. You think great content is everything you need? You’re close, but not really. A great experience is what they are after. why you always have better options. Try a responsive email design instead – subscribers open emails from different devices and they often reopen them later, from another device than the initial one. So do your best and design your messages to particularly provide a seamless experience regardless the device they are accessed on. And do not stop on the email design – aside from crafting a responsive email template, you really need to make the entire user experience responsive. This implies that the destination page that you are linking from your email to also feature a responsive web design. Therefore, when you are luring your subscriber to visit a particular landing page, make sure that their experience will be just as flexible as the one from the newsletter. Surprise your subscribers with dynamic content – personalize your emails through dynamic content and make them feel like you are talking to every single one of them. Try using variable substitution (call them by name, mention the city they live in, mention a product purchased from you before etc.) or content insertion (create different versions of content personalized by the subscriber’s profile). And give them the chance to contribute to a social network – people feel cool about being the first ones to grab a valuable piece of information and spreading the word about it. Make sure you give them the chance to effortlessly share your great content with friends, on social networks, by inserting social sharing buttons into your emails. Design everything for finger tapping – no matter what devices your subscribers use, design your email template for finger tapping and reduce the risks of unpleasant user experiences. Use larger fonts, properly isolate your calls to action, and try to avoid cluttered lists of links. 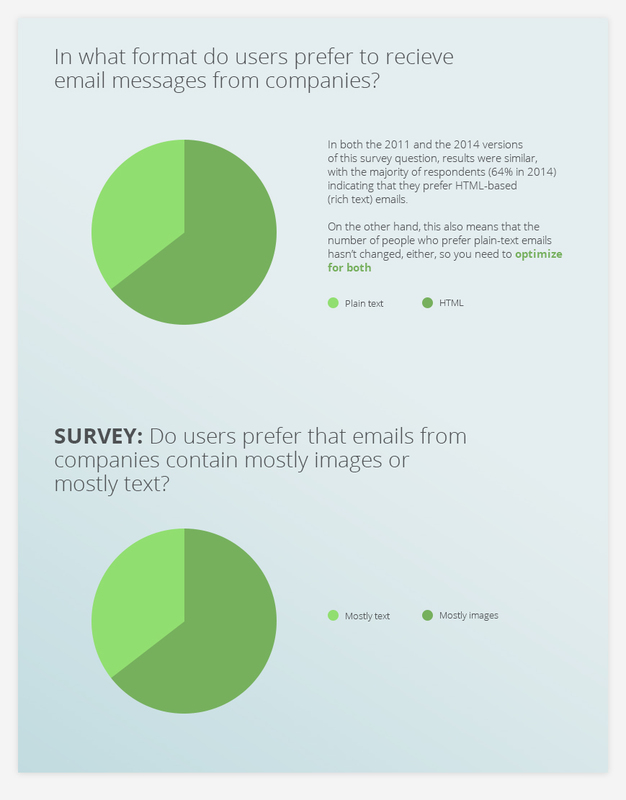 And keep a balanced text to image ratio – using more images than text in an email is a common spam practice that most spam filters closely monitor. And even though mobile optimization implies limiting the text info, having too many images can inflict your deliverability and usability rates. Make sure you test your emails, optimize all the images and strive to provide the right amount of text info with every newsletter that you send. Make clarity your main goal – aside from a newsletter easy to read on any device, you want well-structured information. Your emails should, therefore, use proper sizing of headings and subheadings as well as control of margins and padding. Your email should make its goal clear and content easy to follow, easy to scan, easy to understand. And let your subscribers know who you are – your brand name should be clear in all your emails. As long as you use your official company address, make your company name clear in the sender field and use dedicated signatures, your users could become more responsive and the numerous spam filters will be less tempted to flag your emails as spam. Always work on building your sender trust – part of successfully delivering all your emails implies building your authority as a sender. For this purpose, you can try to gradually increase the number of emails instead of suddenly reaching a peak volume, to allow the ISP trust your IP; you can even implement a sender policy framework, set and follow a particular sending schedule and check the feedback loops of the major internet service providers. And, at the same time, convince spam filters and internet service providers that you are trustworthy and that your emails must reach your subscribers’ inboxes. Without a doubt, it is a warrior’s road, but Design19 can help you reach your destination much easier. Let’s chat and we’ll show you HOW!